Yilpi was born in Ernabella on the 7th November 1969. She was taught the dreamtime stories by her grandparents and her parents. Her mother’s name is Tjulkiwa Atira-Atira and her father’s, Michael Atira-Atira (deceased). 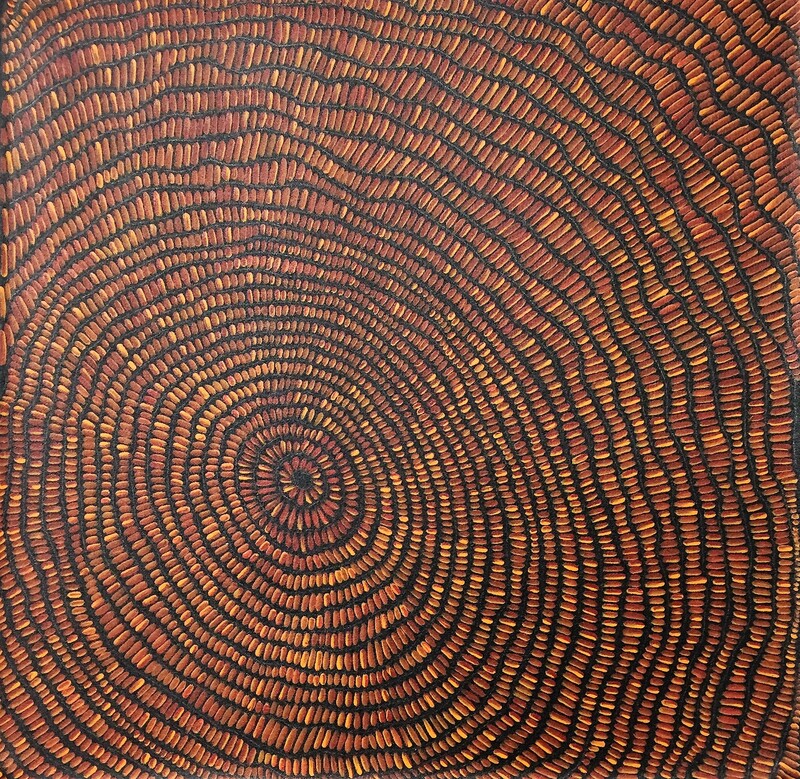 Both parents being very talented artists, have their artworks held by the State Gallery of South Australia and the NGA. Yilpi married Damian Marks Jangala and they lived in Damian’s country near Papunya before moving to South Australia. They now divide their time between Adelaide and Alice Springs, painting together regularly.